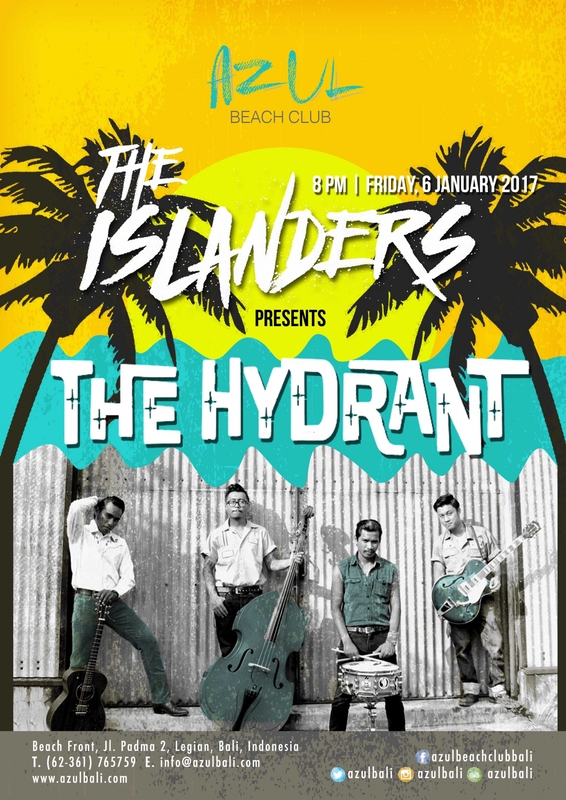 Azul Beach Club presents The Hydrant, 6 January 2017. Drop by and enjoy Bali's own Elvis-like vocals and groove. Slightly dangerous guitar tunes, acrobatic double bass and a drummer that refuses to sit down make for a high energy, toe tapping evening. Tell your mates to join you for a night with live rockabilly and strong Tiki Cocktails!